A very rare first edition(?) 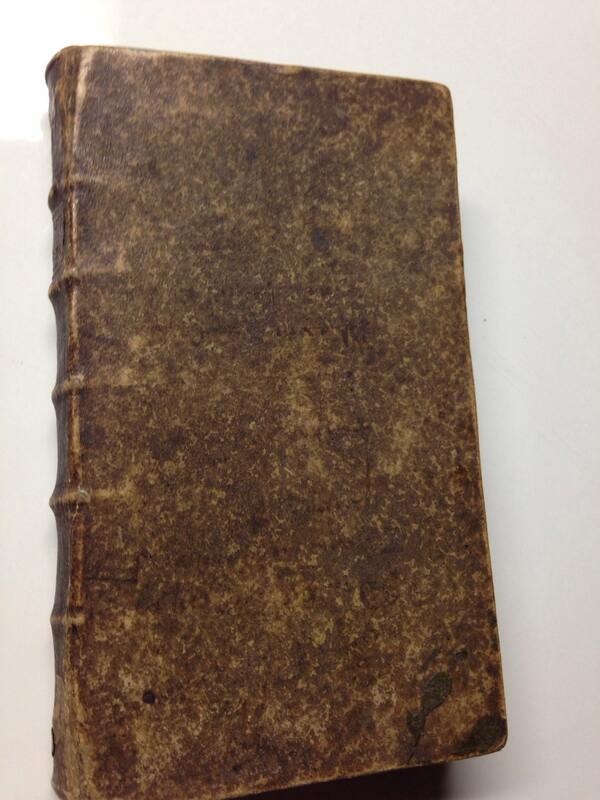 by the renowned humorist in the original 17th century gilt labeled leather binding. Written in French, this book was released in later editions. 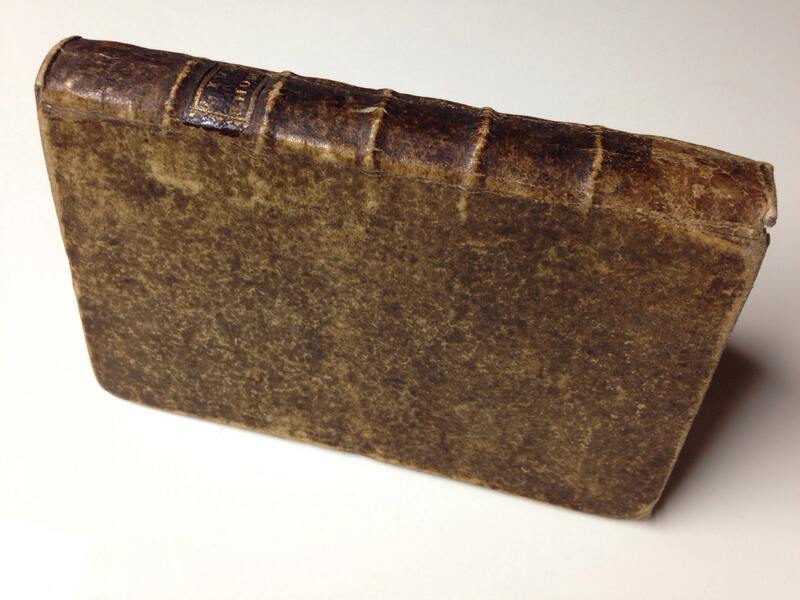 This book is seldom offered for sale in the original binding. 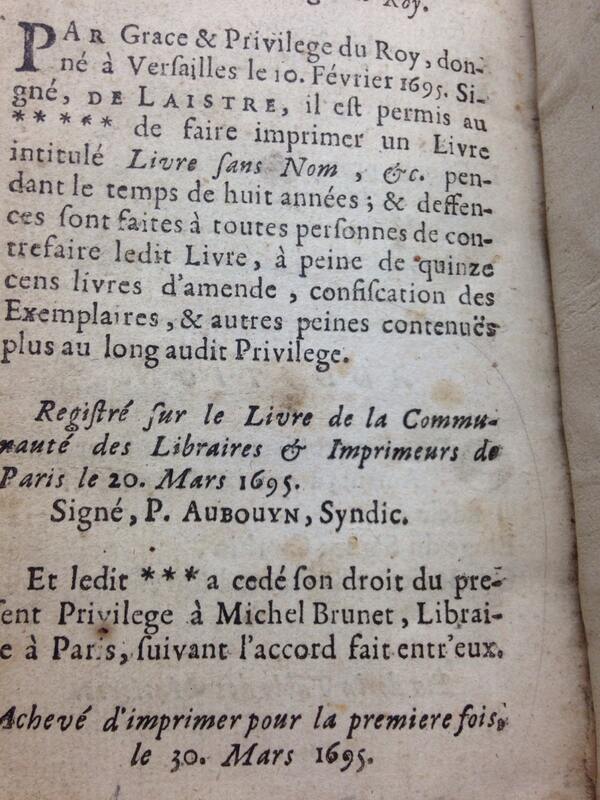 Paris ex libris stamp in the FFEP. 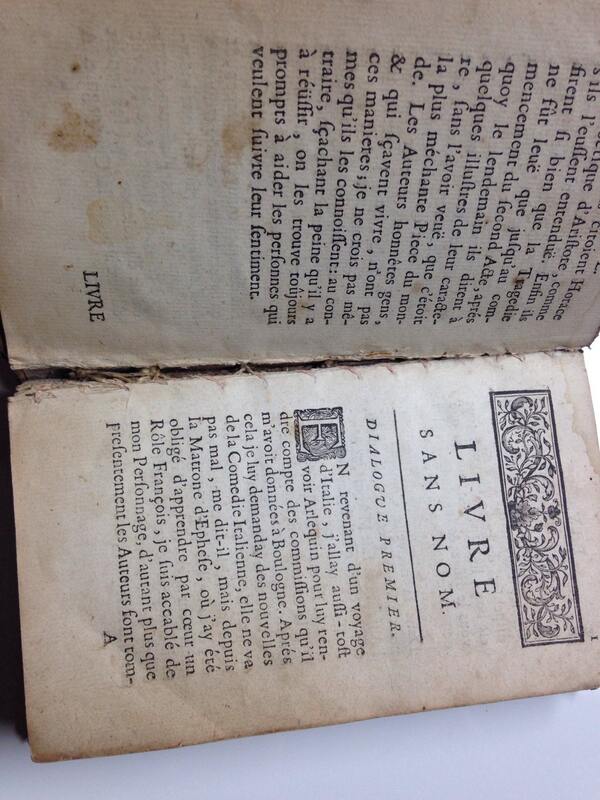 Typical wear of the centuries includes some cracks to the text block that are stable. 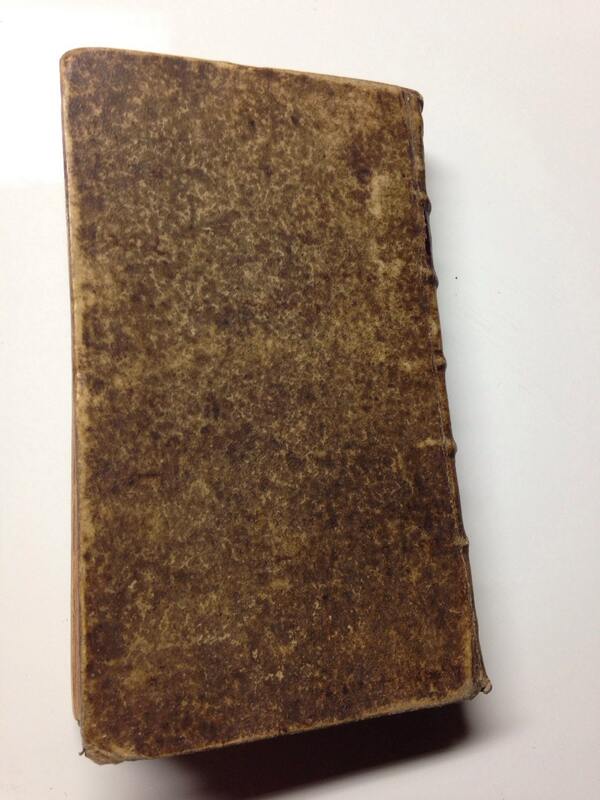 Significant wear to the leather cover which is more or less tight and strong. Pencil markings, primarily in the first few front end papers. 346 pages. Great book.